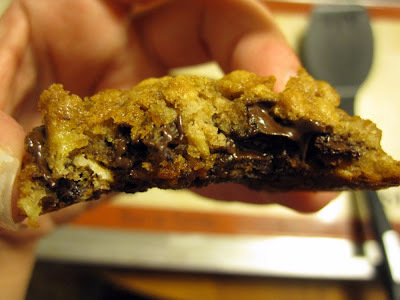 This recipe comes from a very cool book dedicated solely to the chocolate chip. 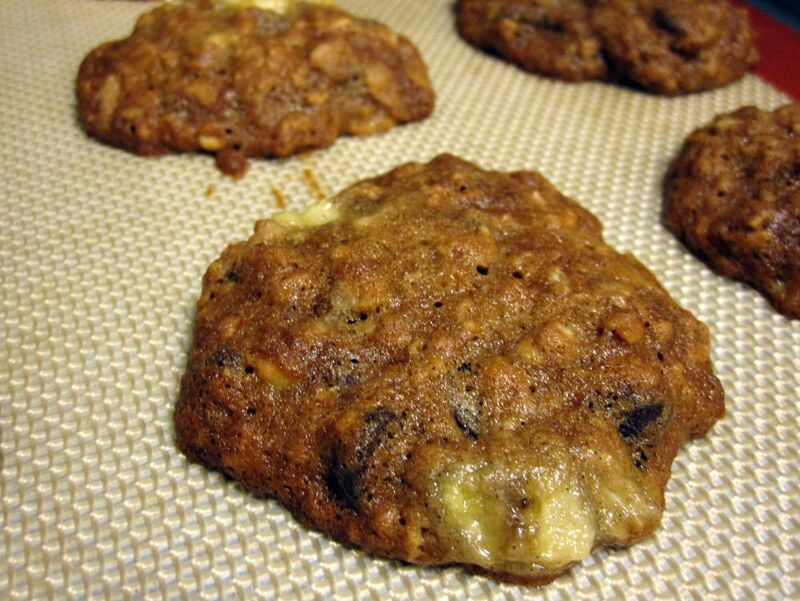 Every recipe is another approach to using chocolate chips. I love books like these that focus on one ingredient. If I'm in the mood to make something with a certain ingredient, or more pragmatically, I'm trying to use up an ingredient in my fridge, I turn to one of my ingredient-focused cookbooks. I have a whole cookbook on just squash, another on peanut butter, another on dates, or omelets, or lemons. I recently picked up this Elinor Klivans chocolate chip cookbook because chocolate chips are a staple in my cupboard; I ALWAYS have them on hand. 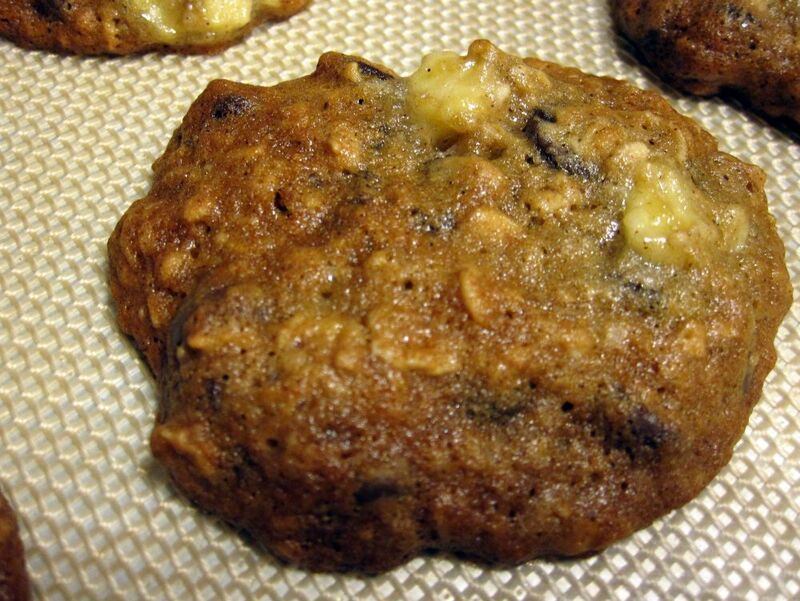 What appealed to me most about this chocolate chip cookie recipe is that the banana in it does not get mashed, only chopped into small cubes and stirred into the cookie batter. I like, but don't love, super soft cookies that are too cake-like, so the idea of using banana chunks instead of mashed banana is a big deal for me. 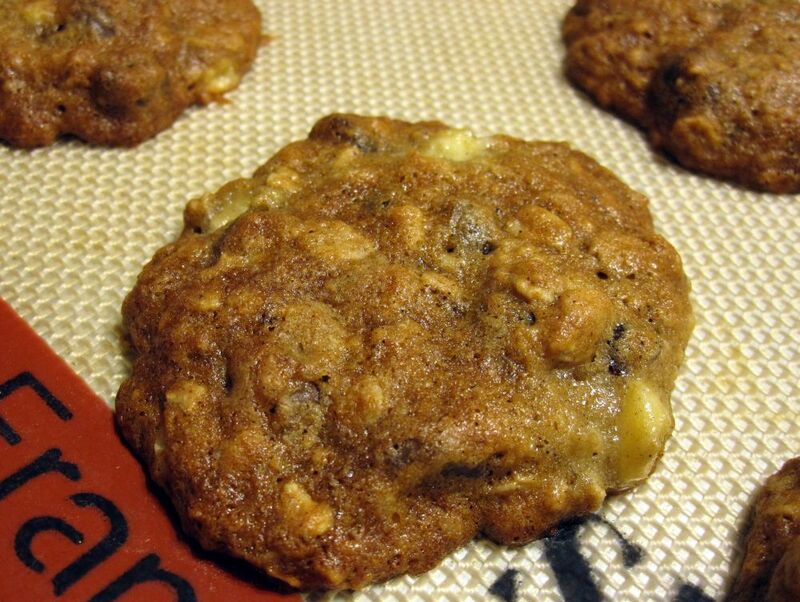 The result is a cookie that, from a distance, looks a lot like a regular oatmeal chocolate chip cookie, but one bite and you know it's something different, something special, something that has banana flavor and texture, without being cake! It remains cookie all the way! Position a rack in the middle of the oven. Preheat the oven to 350 degrees F. Line 2 baking sheets with parchment paper and butter the paper, or just use a silicone baking mat. In a small bowl, combine the dry ingredients: flour, baking soda, salt, and cinnamon. Set aside. 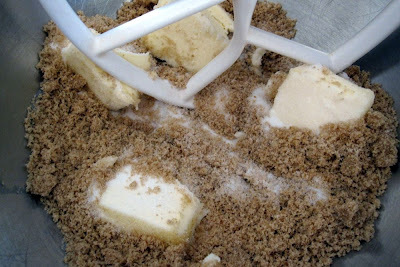 In a large bowl, using an electric mixer on medium speed, beat the butter with the granulated sugar and brown sugar until smooth. That shouldn't take more than a minute or two. Add the egg and vanilla and beat until just blended. Don't worry if you see some curdling. 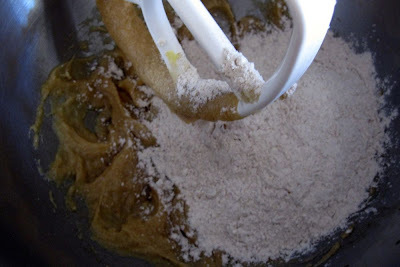 On low speed, add the dry ingredients and again, don't overmix! 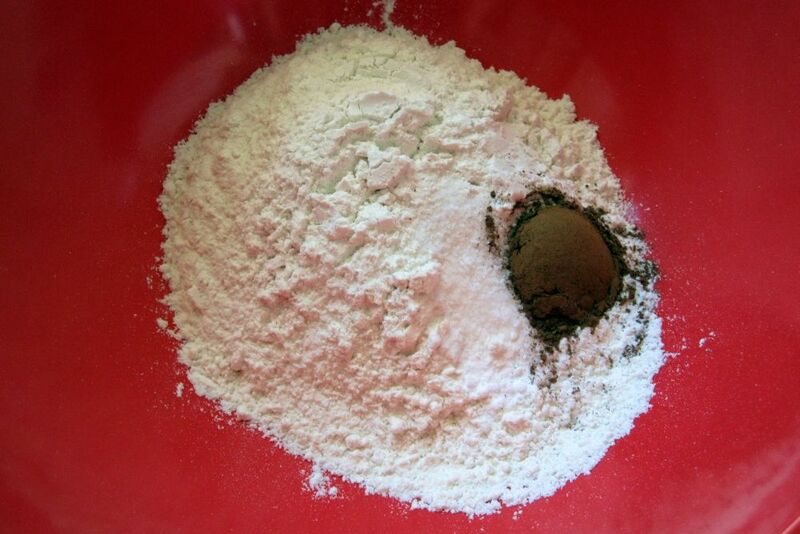 When you don't see traces of flour anymore, you can stop. 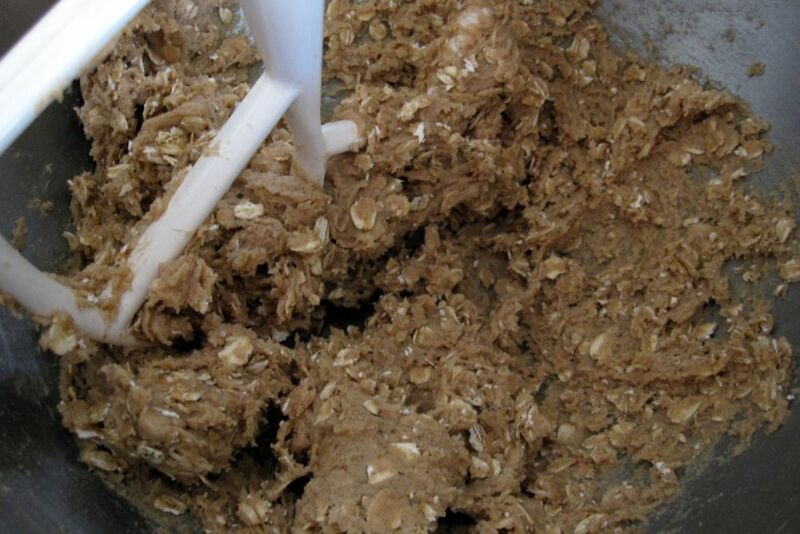 Add the oatmeal and mix briefly to combine. Then add the chocolate chips and mix once more. 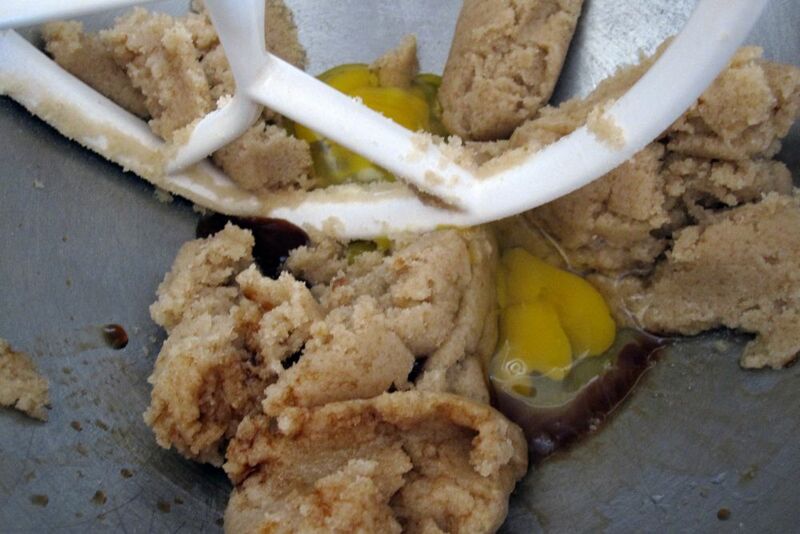 Remove the beater from the bowl of dough and use a spoon to (very gently!) stir in the banana chunks. Try to keep them intact. 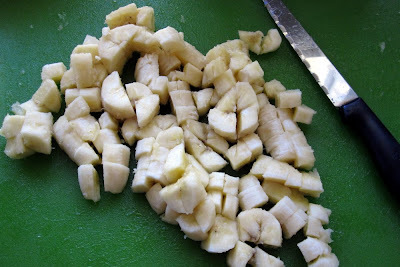 When you are finished, about 20 seconds later, you should still see banana pieces, not mush. Drop heaping spoonfuls of dough onto the prepared baking sheets. 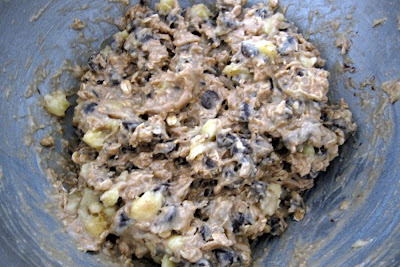 They will spread out a little, so leave at least 2 inches between each cookie. Bake the cookies until the edges are light brown and the tops look dry. 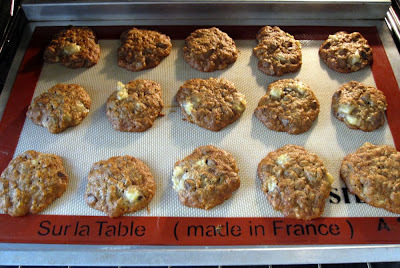 Each tray took me about 14 minutes, but depending on your oven, check as early as 13 minutes in, and up to 18 minutes. Cool the cookies on the baking sheet for the first 10 minutes, then use a spatula to slide them onto a cooling rack to cool the rest of the way. These freeze easily; just wrap well in plastic wrap and then place in a freezer bag. 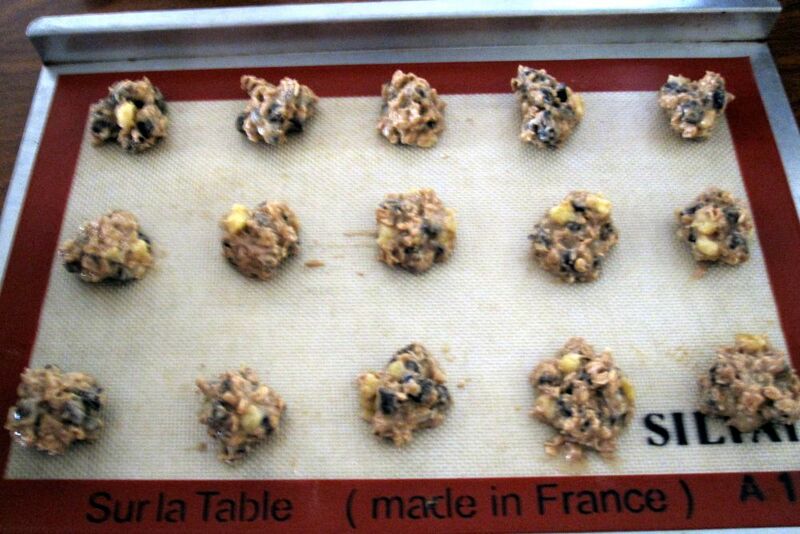 Out on the counter, they'll remain fresh for up to 3 days if you store in an airtight container. Let cool 10 minutes on the baking sheet, then transfer to cooling rack. Then eat! My last tray is coming out of the oven in 5 minutes. They are as good as you say! 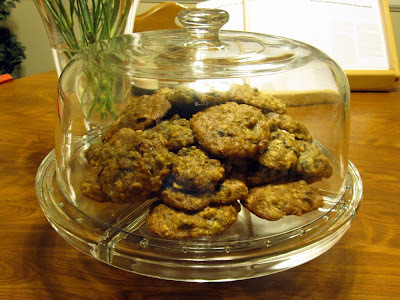 we're having them tomorrow night at our "picnic dinner" before the monthly Porchlight storytelling show in San Francisco. Can't wait to share them! 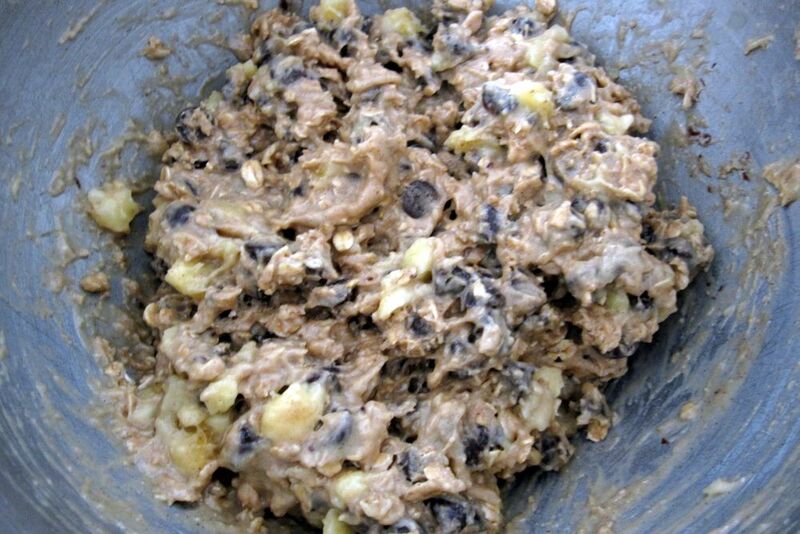 Wow, this recipe looks great. 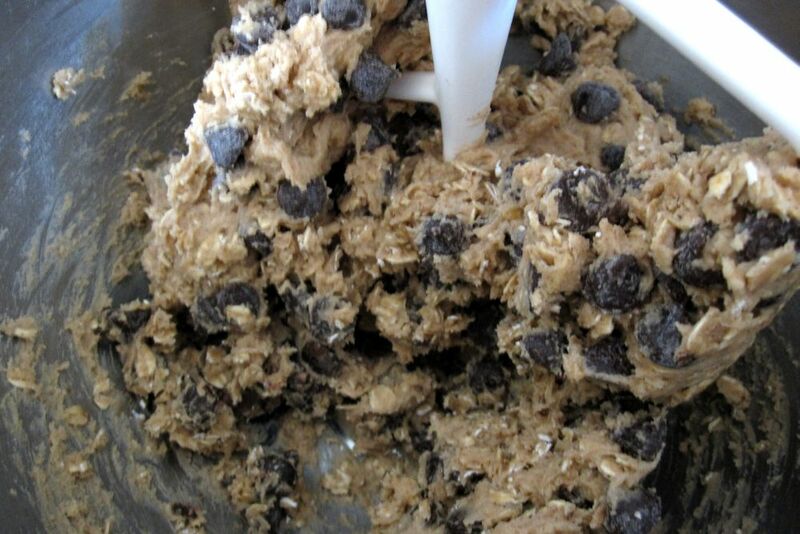 I love all of the main ingredients. Delicious!!! Made this for a dinner party and Everyone Loved iT!! Goes great with vanilla ice cream or by itself. 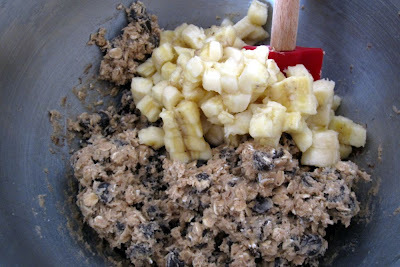 I like banana everything, but I was looking for something different - this will be one my regulars going forward. :) Thanks Marni!